American Attachments > Products > Long Bottom Buckets > Long Bottom Bucket. American Attachments long bottom bucket is designed for greater visibility of the cutting edge and allows you to move more material than our low profile buckets. The long bottom bucket is rated for machines up to 45 HP. 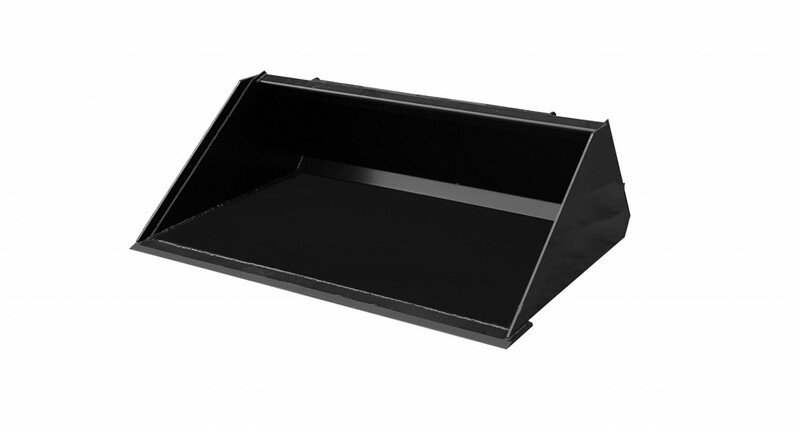 Our standard bucket offers 3/16″ formed wrap, 1/2″ x 6″ cutting edge and 3/8″ x 2″ wear bars. 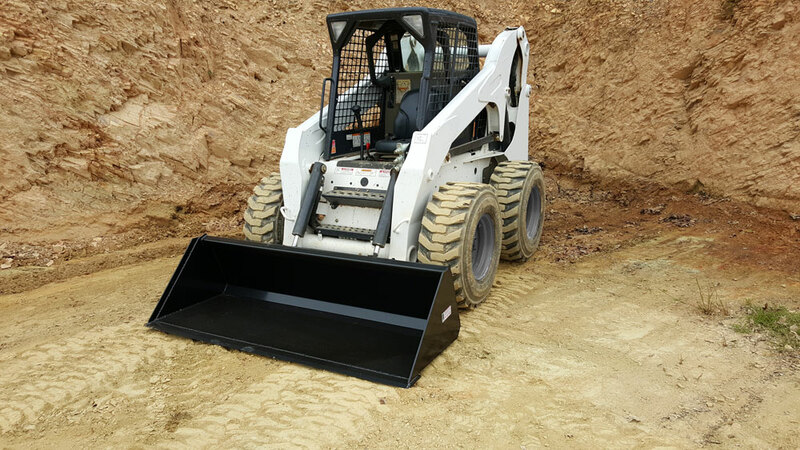 American Attachments long bottom bucket with teeth is designed for customers with lighter skid steers who do not plan on taking it too hard on their bucket. If this bucket is too light for you machine please see our Heavy Duty Long Bottom Buckets. Made for machines up to 65 Hp these buckets are built for the toughest jobs. • 1/2” x 6” edge. • 3/8” x 2” wear bars. • Optional weld on teeth available.